The Australian National Imams Council and the Mufti of Australia Dr. Ibrahim Abu Mohammad Strongly condemn the vicious attack and heinous crime by the Hoothi rebels on the most sacred City (Makkah Al-Mukaramah) in the world since the time of Prophet Ibrahim, Peace be upon him to the Day of Judgement. The Australian National Imams Council and the Mufti of Australia believe that this attack targets all Muslims around the world and the principles of Islam. 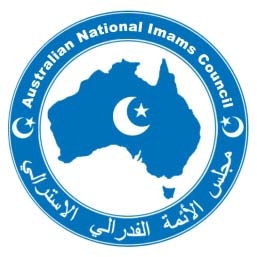 The Australian National Imams Council urges all Muslim Countries and all Muslims around the world to stand in solidarity and support with the Kingdom of Saudi Arabia who are the custodians of the sacred cities Makkah and Madina, the Council also commends the Kingdom of Saudi Arabia for their ongoing care, role and protection of the sacred places of Makkah and Madinah and stands strongly with the Kingdom against any attack on the Muslim sacred cities. We ask Allah to protect all people and Muslim countries around the world from any oppressive attack. أ عربت قيادة قوات التحالف لدعم الشرعية في اليمن عن عزائها ومواساتها لأسر الضحايا والمصابين في الحادثة المؤسفة والمؤلمة التي وقعت في صنعاء هذا اليوم السبت 8 أكتوبر 2016 م جراء الأعمال القتالية الدائرة منذ استيلاء الانقلابيين على السلطة هناك في سبتمبر 2014 م . كما تؤكد قيادة قوات التحالف أن لدى قواتها تعليمات واضحة وصريحة بعدم استهداف المواقع المدنية وبذل كافة ما يمكن بذله من جهد لتجنيب المدنيين المخاطر. وسوف يتم إجراء تحقيق بشكل فوري من قيادة قوات التحالف وبمشاركة خبراء من الولايات المتحدة الأمريكية والذين تم الاستعانة بهم في تحقيقات سابقة وسوف يتم تزويد فريق التحقيق بما لدى قوات التحالف من بيانات ومعلومات تتعلق بالعمليات العسكرية المنفذة في ذلك اليوم وفي منطقة الحادث والمناطق المحيطة بها، وستعلن النتائج فور انتهاء التحقيق . The Coalition supporting the legitimate government in Yemen was not involved in the strikes at funeral in Yemen. About it reports Reuters referring to a source in the Arabian coalition. “Absolutely nothing was carried out in the region”, one of the Arabian coalition sources said, the coalition always avoid attacking such a crowd of people. According to the statement carried by the Saudi Press Agency (SPA). The Coalition supporting the legitimate government in Yemen has announced that it is aware of reports about the regrettable and painful bombing of the Great Hall in Sana’a today 8/10/2016 , which led to the killing and and injuring of casualties, as reported. The coalition confirms that its troops have clear instructions not to target populated areaa and to avoid civilians. The coalition will immediately investigate this case along with Joint Incidents Assessment Team (JIAT) in Yemen and experts from the United States who participated in previous investigations. The coalition is also willing to provide the investigation team with any data and information related to its military operations today, at the incident’s location and the surrounding areas. The result of the investigation should be announced as soon as it’s completed.